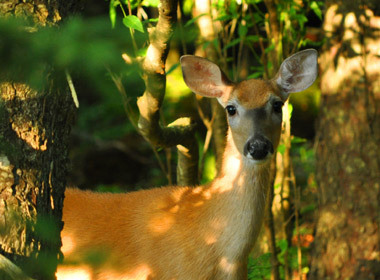 Some farmers say that Pennsylvania's state beverage can be an effective repellent to the state animal (spraying diluted milk on garden plants apparently deters white-tailed deer). 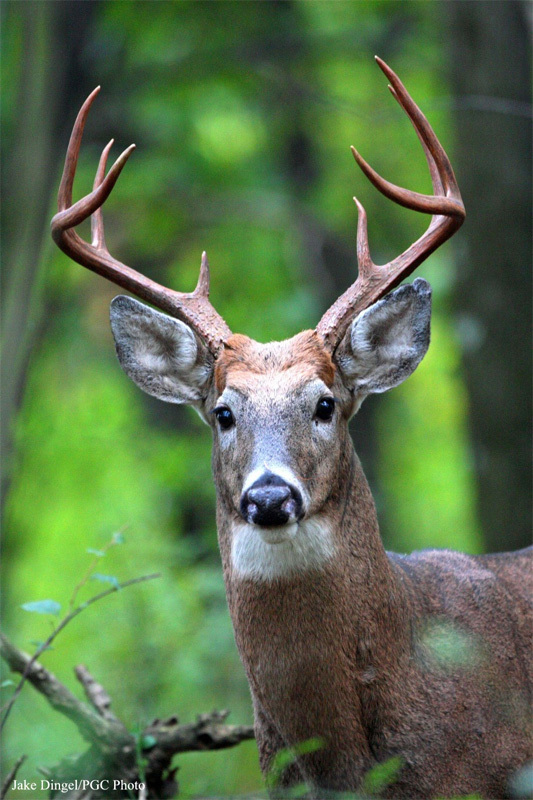 Eleven states have designated the elegant white-tailed deer as an official state symbol: Arkansa, Illinois, Michigan, Mississippi, Nebraska, New Hampshire, Ohio, Oklahoma, Pennsylvania, South Carolina, and Wisconsin. The white-tailed deer is so named because the white underside of the deer's tail waves when running and is flashed as a warning when danger is sensed. An animal of incredible beauty and power, white-tailed deer are able to run up to 40 miles per hour, jump 9 foot fences, and swim 13 miles per hour. Both native Americans and settlers relied on the white-tailed deer for buckskin and food. 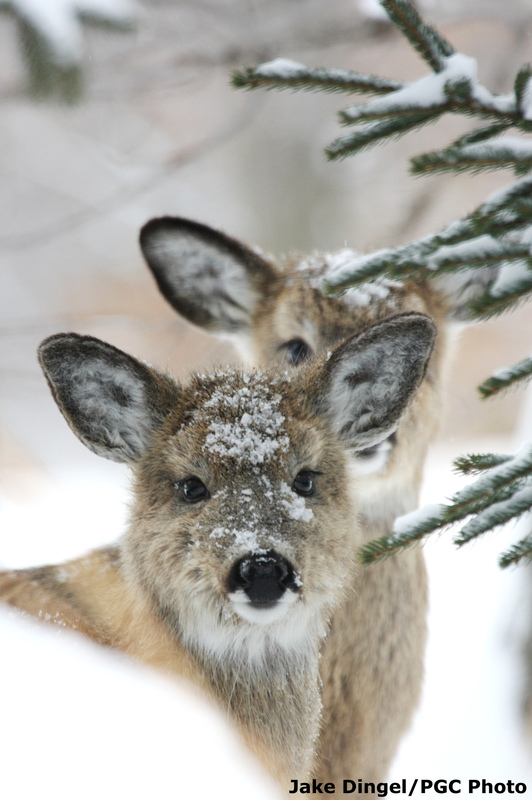 White-tailed deer in the snow; photo by Jake Dingel / PGC Photo Gallery: White-tailed deer (noncommercial and educational use permitted with attribution). White-tailed deer - photo by Moxfyre on Wikipedia - published under terms of the GNU Free Documentation license Version 1.2 or later. 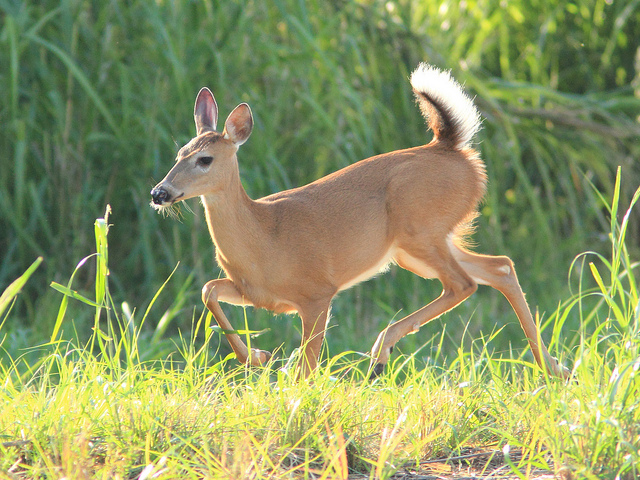 White-tailed deer doe running with tail flashing warning; photo by Kenneth Cole Schneider on Flickr (noncommercial use permitted with attribution / share alike).